The US decision not to work through NATO after 9/11 left many European members of the alliance feeling deflated. This decision reflected not only the unilateralism of the Bush Administration, but also the belief that US operational freedom and flexibility had been hampered during NATO’s two Balkans interventions. This book examines US attitudes to, and perspectives on, the transatlantic alliance, with a particular focus on US-NATO relations since 9/11. It demonstrates that, following the decision to bypass NATO after 9/11, the Bush Administration’s perceptions of the alliance shifted due to a belated recognition that NATO did indeed have much to offer the US. 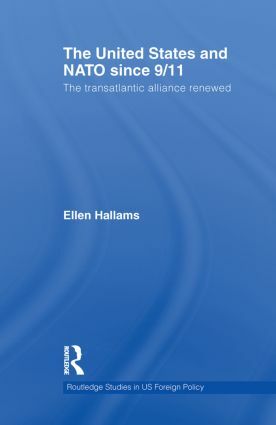 Hallams explores NATO’s contributions to post-combat reconstruction and stabilisation operations in Afghanistan and Iraq, and argues that the events of 9/11 galvanised NATO into undertaking an accelerated program of transformation that has done much to reinvigorate the alliance. This book offers an optimistic assessment of the transatlantic alliance, counter-balanced by realistic reflections on the problems it faces. Drawing on interviews with US and NATO officials, it argues that NATO is far from irrelevant and that prospects for the alliance remain fundamentally positive; it will be of interest to students and scholars of US Foreign Policy, American politics, international relations, security studies and transatlantic studies.